The World Trade Center in Beijing hosted the International Exhibition of Outbound Tourism and International Travel – COTTM-2018, in which about 550 companies from 70 countries took part. The event brought together specialists from all segments of the tourism market: the leaders of national and regional companies, tour operators and travel agents, representatives of airlines, car rental companies, cruise organizers, foreign travel, outbound tours, hotel business, insurers, travel equipment suppliers and media representatives. 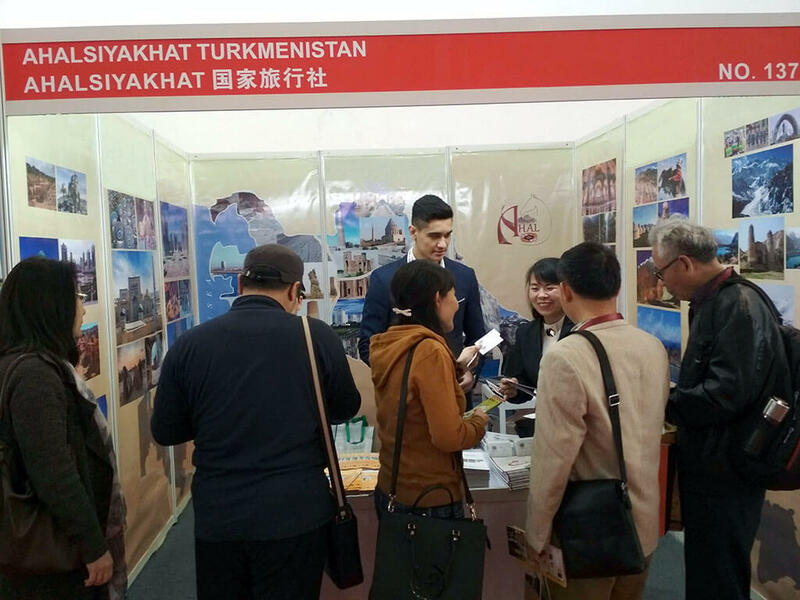 The stand of the company of the State Committee for Tourism “Akhalsyakhat” introduced the visitors of the prestigious exhibition with the tourist potential of Turkmenistan. Advertising and information products reflecting the tourist and recreational potential of the country, introducing the cultural heritage of the Turkmen people, unique archaeological monuments, modern achievements of the country, as well as national souvenirs were widely presented. The head of “Akhalsyahat” Gurban Gurbanov, within the framework of the exhibition, held meetings with representatives of travel companies of China and other countries, during which various aspects of enhancing cooperation in this area were discussed, including increasing mutual tourist flow, and establishing friendly connections between cities.